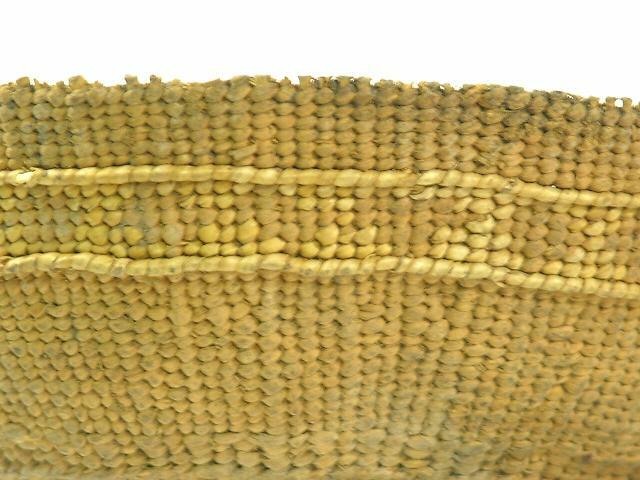 Trinket (crossed out) basket, twined weave, old. Used for dipping soup from the cooking basket. 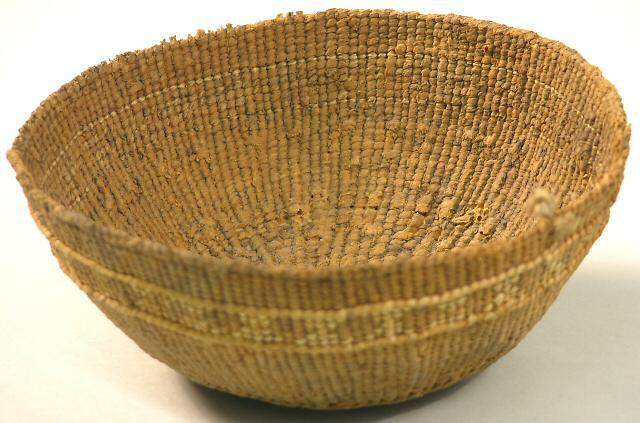 From the History Information Station "Object: Basket made by twining, using split pine root (Pinus spp.) with bear grass (Xerophyllum tenax) overlay design. 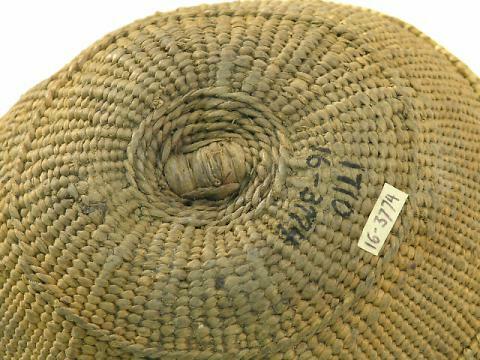 This basket was collected among the lower Klamath River peoples, and dates top to the late 19th or early 20th century. History: This basket is a dipper used for serving acorn soup or mush from the cooking basket to the individual eating baskets. Did you notice the two raised rows of weft stitches near the rim of this basket? Dipper baskets were traditionally strengthened by two hazel sticks held to the outside of the basket by the regular twining strands. This was done so that they would keep their shape when wet."